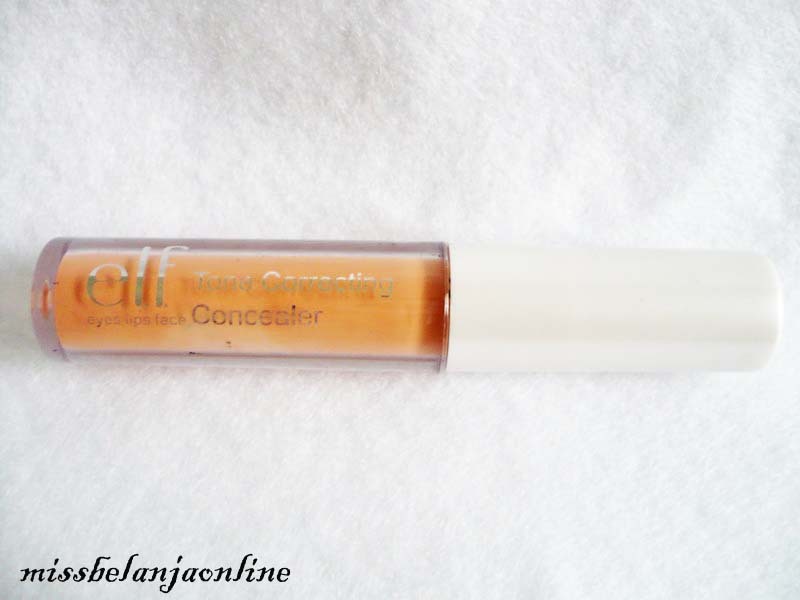 This time I will review about ELF Tone Correcting Concealer. The retail price for this product is $1, but I got this from multiply online shop for IDR 25.000. Really cheap right? Multi-tonal silicon treatment masks skin tone imperfections and redness, leaving skin with a healthy glow. 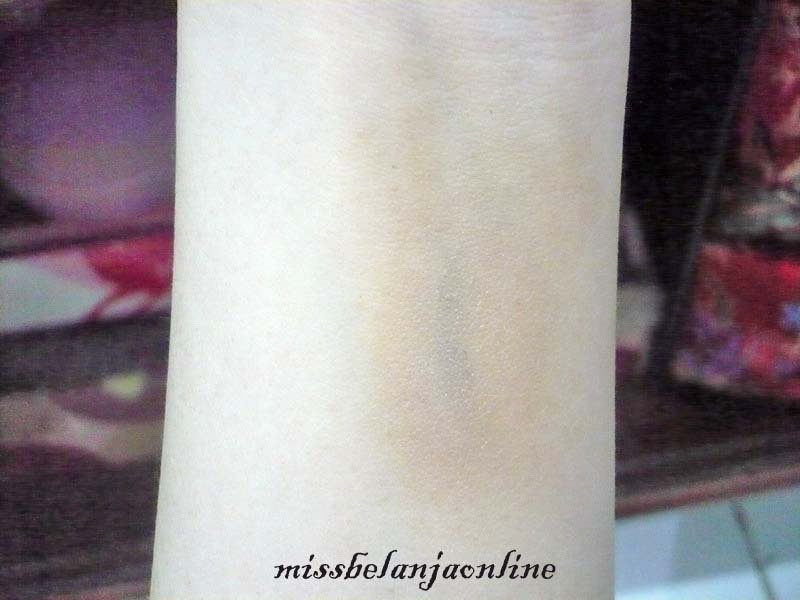 Use sponge applicator to custom blend and apply makeup. Wear daily. I choose the apricot beige shade for this concealer. 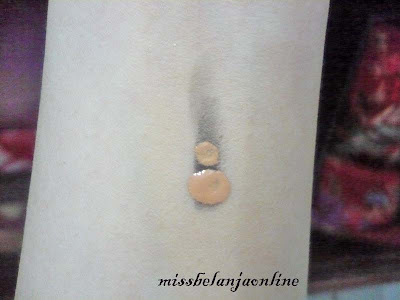 This is the swatch from the website. 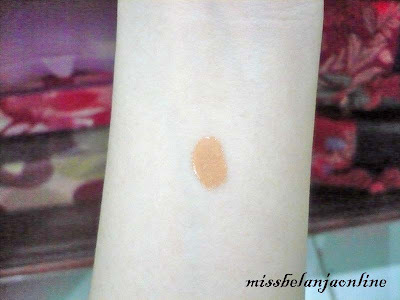 I think I pick the wrong shade, since it looks too yellow/brown for my skin even after I blend it. 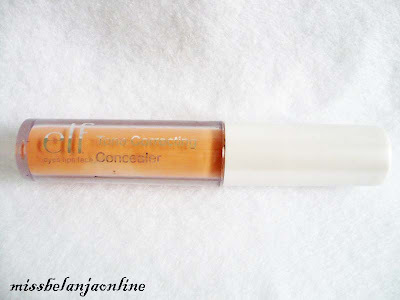 The texture of this concealer is quite liquid and the coverage of this concealer is medium. It does cover a little impurities, but it can’t cover a pimples/scar/blemishes well. Hard to get in my country. I can only order it online. Repurchased: No, I want to try the other concealer. You have a very cute blog! thanks for the review. It was very helpful. it looks great though! 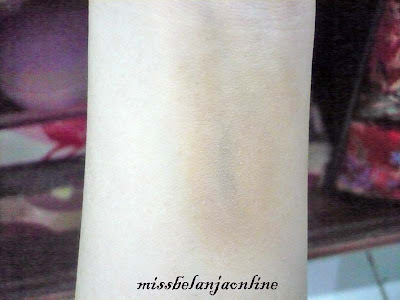 lesson learned, now you know a darker/lighter shade to order so that it goes perfect for your skin! Haha I hauled lots ELF products during their 50% off sale online. It was my first time using ELF products and I'm not sure if I'm impressed. The powders and stuff seem very different from swatches on their website. Love the way you write a review! I was wondering if you'd like to check my blog and/or follow. If you do so, please let me know so I can also follow you on Google Friend Connect. Too bad this wasn't that great! I hear Elf products are quite hit and miss! All rights reserved by missbelanjaonline.blogspot.com. Simple theme. Powered by Blogger.